What indicates if swallowing may be a problem? 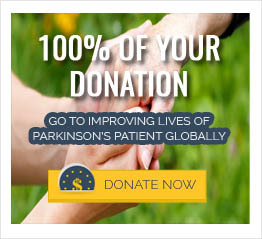 Dysphagia, or swallowing difficulty, has been reported in as high as 95% of individuals with Parkinson’s disease. Frequently, changes in the swallowing mechanism occur gradually over time, so an individual may adapt to these changes without realizing there is a problem, until further symptoms begin to show. These symptoms may include choking on saliva, or food and liquids. For some persons with Parkinson’s, difficulty managing or swallowing saliva can be one of the first signs of dysphagia. Secretions normally found in the mouth and throat contain many micro-organisms, and most of those do not cause disease. However, persons with poor oral hygiene have a greater amount of pathogens and a greater risk of pneumonia when they also have a swallowing problem. If you notice any swallowing difficulty, you should seek help of a swallowing therapist.